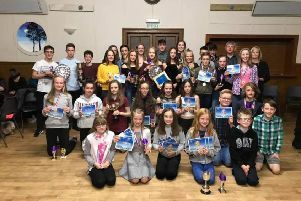 The 2018 season was one of mixed fortunes across the five Stonehaven Tennis Club teams. There was great success for the Men’s A and Men’s B teams, who comprehensively won North East Division 1 and Division 2 respectively. The Men’s A team picked up 91 out of a possible 96 sets on their way to their third successive Division 1 title, while the Men’s B team finished the season more than 20 sets ahead of second-placed David Lloyd B, and look forward to a season in the top division next year. After gaining promotion to Division 2 last year, Stonehaven Men’s C team could not hold their place in this division and unfortunately finished bottom come the end of the 2018 season. With some strong competition across the division this was always going to be a difficult test for the team, who will hope to return to Division 2 next year. The Men’s D team suffered a similar misfortune by finishing bottom of Division 4 this year. With many of the players who expected to play for the D team often being asked to play higher up the ranking order due to shortages of players in the teams above, the matches proved a step too far for many and as a result the D team were unable to win consistent matches, despite having a couple of strong victories over the season. Finally, the Men’s E team finished in the bottom half of a closely contested Division 5. 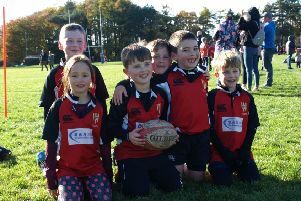 Another three victories for the E team could have seen them gain promotion, but this wasn’t to be and the team will once again have to push for promotion to Division 4 in the 2019 season. Men’s team representative Heidi Blanksma said: “There were 35 players who represented Stonehaven men’s teams across all five divisions in 2018. “There were far too many players to name individually – however on behalf of the club and myself I would like to thank all those who supported, contributed and most of all enjoyed playing tennis for Stonehaven across the season.